"Some of you might remember the Dungeons & Drunkards Weekend initiated by +Charles Akins back when (if you've never heard of it, feel free to check out that first link leading you to a pdf leading you to enlightenment ...). Well, we had so much fun, we started another project and took some more people on board to write about another topic: Vengeance! And since we are a bunch of creative bastards with too much time on our hands, we made a whole week out of it. The fun starts at Monday and it's two post a day until Thursday and one brutal coup de grace on Friday. 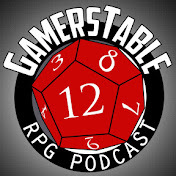 We'll have it all, tables, short stories, advice for your games, you name it! I'll update this post as soon as the posts start hitting the ground ..."
Anyone who reads my work will know I'm a Greyhawk fan first and second a comic artist. To that end I present the return of my favorite Greyhawk comic duo, the Cultists of Tharizdun! What sort of murder and mayhem will they get into? Check it out and be sure to check the blogs of those writers who are ahead and after me in initiative order!